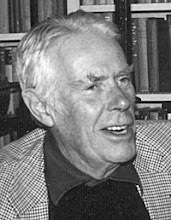 Dance Class offers an extraordinary collection of essays about Anthony Powell’s great comic novel from John’s two courses (2001-2 and 2007-8) teaching Dance to senior high school students. The young authors discuss issues of character, plot and theme; investigate historical background; chart personal relevance; parody characters and situations; even write a treatment for a drama. This book reveals fresh new ways of looking at Dance. Published by iUniverse and being launched at the Washington Conference. Order now from iUniverse.com, Amazon.com and Amazon.co.uk. ISBN 9781440129032. Cover price $18.95. We are grateful to John for pledging the royalties from this book to the Society. Booking essential: Tickets £10 (which includes a glass of wine after the lecture) from The Wallace Collection on 020 7563 9551 or booking@wallacecollection.org. David Kynaston is author of the widely acclaimed Austerity Britain, first part of Tales of a New Jerusalem, his multi-volume social history of post-war Britain. Volume 2, Family Britain, covering the period 1951-57, will be published in early November. David has said he "envisaged the project as owing something to two types of artistic inspiration: the thickly textured panorama of a 19th century "loose, baggy monster" realist novel, with perhaps a dash of Frith's Derby Day painting; and the roman-fleuve of Anthony Powell's A Dance to the Music of Time novels". In his lecture David offers a personal response to Powell's sequence and reflects on the value of historical fiction. Austerity Britain won the Yorkshire Post award for best non-fiction book in 2008. Conference places are still available. See earlier entries for details.